A recent TRB E-newsletter (4/2/2013) was spotlighted by Randy Post (aka RockMan) at Geoprac.net. The newsletter was about the publication in January of Research Results Digest 380: Guidelines for Geofoam Applications in Slope Stability Projects. TRB’s National Cooperative Highway Research Program (NCHRP) Research Results Digest 380: Guidelines for Geofoam Applications in Slope Stability Projects explores the use of expanded polystyrene-block geofoam for slope stabilization projects. For the purpose of the report, slope stabilization projects include new roadways as well as repair of existing roadways that have been damaged by slope instability or slope movement. The research was performed by the Department of Civil Engineering at The University of Memphis (UoM). David Arellano, Associate Professor of Civil Engineering at UoM, was the Project Director. The other project investigators were Timothy D. Stark, Professor and Consulting Engineer, Department of Civil and Environmental Engineering at the University of Illinois at Urbana-Champaign; John S. Horvath, Consulting Engineer and Professor, Civil and Environmental Engineering Department at Manhattan College; and Dov Leshchinsky, President of ADAMA Engineering, Inc., and Professor, Department of Civil and Environmental Engineering at the University of Delaware. This report presents the results of a study performed to develop a comprehensive document that provides both state-of-the-art knowledge and state-of-practice design guidance to facilitate the use of EPS-block geofoam for slope stabilization and repair. This report includes the following five primary research products: (1) summary of relevant engineering properties, (2) a comprehensive design guideline, (3) a material and construction standard, (4) economic data, and (5) a detailed numerical design example. The project was initiated to develop comprehensive design guidelines for use of geofoam in slope stability applications. According to the Digest, geofoam use is becoming more widespread in the U.S., but the adoption of it as a routine roadway construction material has been slowed by lack of design guidelines. Although EPS-block geofoam for road construction is an established technology and despite the more than 30 years of extensive and continuing worldwide use of EPS-block geofoam, it has been underutilized in U.S. practice because a comprehensive design guideline for its use as lightweight fill in roadway embankments has been unavailable. There was, therefore, a need in the United States to develop formal and detailed design documents for use of EPS-block geofoam in roadway applications. 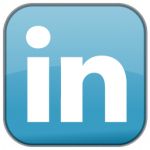 To learn more about the project, go here. Click this link to download the project report. 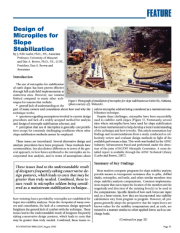 An article by Eric and Dan on the use of micropiles for slope stabilization has been added to our Publications Page. 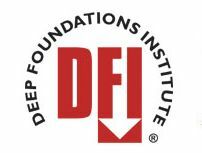 Published in the August 2010 issue of Foundation Drilling Magazine, the article summarizes key findings and recommendations from a study that reviewed and evaluated existing micropile design methods. A new design method is proposed to better predict the mobilized resistance of micropiles used for slope stabilization. The full report prepared by Eric and Dan for the joint ADSC/DFI Micropile Committee, “A Method for Predicting Mobilization Resistance for Micropiles Used in Slope Stabilization Applications”, presents the details of this study. Robert previously posted about this report here. Loehr, J.E. and Brown, D.A. (2010). 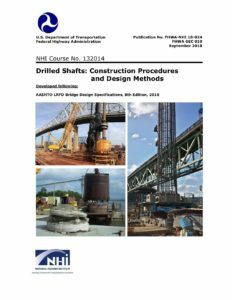 “Design of Micropiles for Slope Stabilization”, Foundation Drilling, Vol. 31, No. 6 August 2010. FHWA GEC 10 Update for 2018 Released! 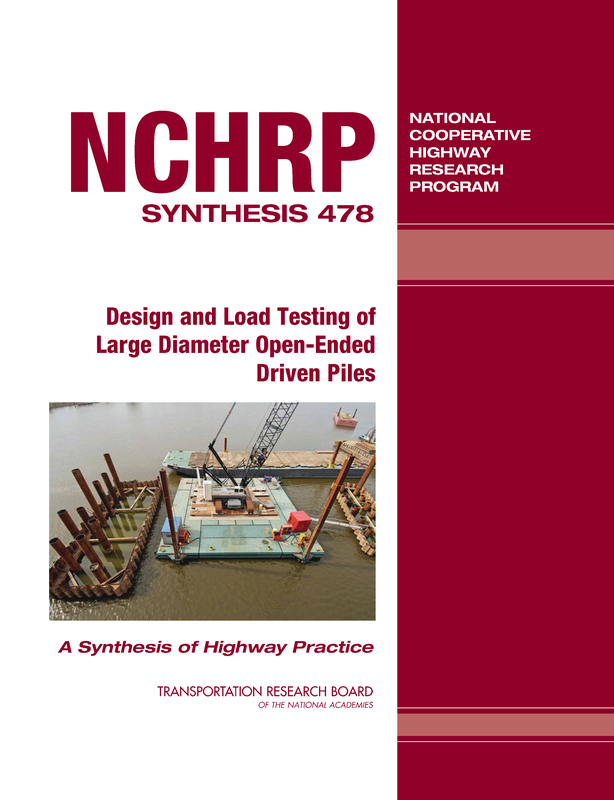 Get the NCHRP Synthesis 478 – Design and Load Testing of Large Diameter Open-Ended Driven Piles. Select Tag 2018 Tennessee Earthquake A-Cell Aaron Hudson ACIP Piles ADSC ADSC EXPO 2012 ALDOT Alex Bedley Android Arch Bridge ASCE ASCE Civil Engineering Landmark Auburn University Audubon Bridge augercast Augercast Piles Barry J. Meyer Base Grouting Ben Turner Bengt Fellenius bentonite Berkel & Company Best of the Best Bi-directional load cell Biloxi Bay Bridge Blackberry blogging Bridge Construction Bridge Foundations Bridge Girders Bridge Replacement Bridge Scour Bridge Span Brigham Young University Bubble Curtain Burkhalter Cable-Stayed Cable-stayed Bridge Casagrande cast-in-placed displacement piles cement CFA Piles CGE Chicago Chicago Subway Civil Engineering Cofferdams Composite Ground Concrete Arch Concrete Network Arch Corps of Engineers Dam Construction Dan Brown Dan Brown and Associates David Graham DBA Deep Foundation Construction Deep Foundation Design Deep Foundations Deep Foundations Committee Design-Build DFI DFI Educational Trust DFI Journal DFI Newsletter Dr. Lymon Reese Drilled Displacement Piles Drilled Foundations Drilled Piers Drilled Shaft Construction Drilled Shaft Design Drilled Shafts Driven Piles Driving Criteria Duke Duke University Dynamic Loading Dynamic Pile Testing Earth Retention earthquake engineering Engineering History Engineering Research ENR Erik Loehr Extreme Events Facebook Faceboook featured FHWA FIGG Bridge Flatiron Foundation Construction Foundation Design Foundation Engineering Foundation Failure Foundation Research Foundation Testing G-I GEC 10 GEER Geo-Institute Geo-Institute. GeoCongress 2012 Geo-Strata Geoegineer Geoengineer.org GeoFlorida Geofoam Geological Engineering Geology GeoPrac GeoPrac.net Georgia Institute of Technology Georgia Tech Geotechnical Engineering Geotechnical Engineering Research GeoWorld Goethals Bridge Goethals Bridge Replacement Golden Beaver Award Granite Griff Wigley Ground Improvement Grout H-Piles Hastings Bridge Hastings Minnesota Highway Bridge Foundations Huey P. Long Bridge Hurricane Deck Bridge Hwy 53 I-70 Mississippi River Bridge IDOT IFCEE 2015 Illinois Center for Transportation InSituTech Iowa State University Iowa State University Institute for Transportation iPhone ISSMGE Jet Grouting John Turner Jorge Osterberg Kansas City Karl Terzaghi karst kcICON Kiewit LADOTD lateral load design Lateral Load Test Lateral resitance Leo Frigo Bridge LinkedIn Liquefaction Live Load Test Load Test Load Testing Load Testing. Mississippi River Bridge Loadtest Loess Louisiana Civil Engineer Louisiana TIMED LRFD LTRC Malcolm Drilling Merry Christmas Mesabi Iron Range Michael Holloway Micropiles Mike Hollowy Mike Moore Mike O'Neill Mississippi River Bridge Missouri S & T MnDOT Mobile River Bridge mobile viewing MoDOT MWGC Nathan Glinski NCHRP NDT New Mississippi River Bridge New Orleans NGES NHI Non-Destructive Testing O-cell ODOT Omega piles Osterberg Lecture Pacific Earthquake Engineering Research Center Parsons Parsons Transportation Group Paul Axtell Paul Mayne PDA PDCA Picasa Picassa Piedmont Piedmont Rocks Pile Corrosion Pile Groups Pile Load Tests Pipe Piles Post-Grouted Drilled Shafts Pressure Grouted PIles PWR Ralph Peck Resistance Factors responsive web design Reuse Foundations Roads and Bridges Magazine Rob Saunders Robert Thompson Rock Anchors Rock Mechanics rockfall Ronaldo Luna RSS RSS comments Sacramento Arena Scot Litke seismic design Seismic Enigneering Seismic Event Sellwood Bridge Settlement Shallow Foundation Site updates Bridge Construction Slope Stability Smoky Mountains Social Media Social Networking Soil Mechanics Soil Testing spread footing spread foundation St Croix Bridge St. Louis Stabilization Static Load Test Static Testing Statnamic Steve Dapp STGEC Stillwater Sundt Construction Superpile Synthesis Report Taiwan Geotechnical Society Tappan Zee Bridge Terzaghi Terzaghi and Peck Test Piles The Academy of Geo-Professionals The Beavers The Moles Tim Siegel Tip-grouting Transportation Design and Construction Transportation Research Board TRB Trials Training Center Turner Construction Twitter TxDOT UCLA University of Illinois at Urbana-Champaign University of Texas VDOT Virginia Minnesota Waterways Esperiment Station Wisconsin DOT Woodward-Clyde You Tube YouTube Zenith Tech Inc.